Hardcover with jacket, 224 pages, 12.5 x 20.0 cm, 4.9 x 7.9 in. Amazing things go on in the woods: there are trees communicating with one another, trees lovingly caring for and looking after their offspring and their old and afflicted neighbours, trees with sensibilities, emotions, a memory. Incredible? Perhaps. But true! 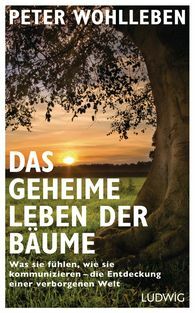 "The Hidden Life of Trees is a wonderful, provocative book [...] by an acute and empathetic forester."